The Bonn city center is the commercial center of the region and invites with an attractive pedestrian zone for shopping and lingering. Bonn’s station forecourt has a changeable history behind it and is upgraded with the current project developments. 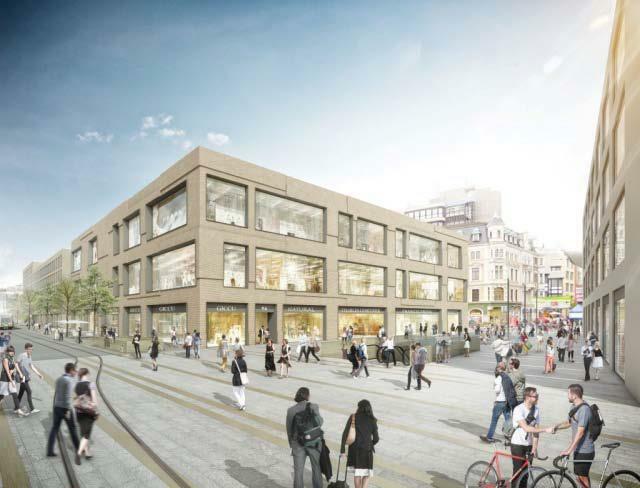 This will further enhance Bonn’s existing retail attractiveness. 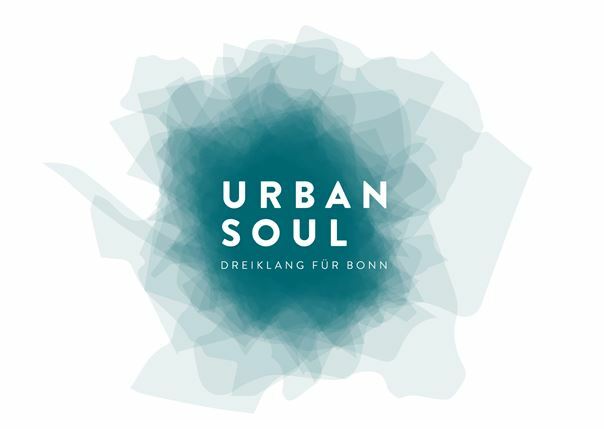 „Urban Soul„ will be realized by „developer Projektentwicklung GmbH“ from Düsseldorf on the „Nordfeld“ in Bonn. In total, more than 15,000 m² are available in the buildings for retail, gastronomy, fitness, office and services. The so-called „Bonner Loch“ in front of the Bonn main station, is thus soon closed. By the autumn of 2019, „Urban Soul“ will be completed. 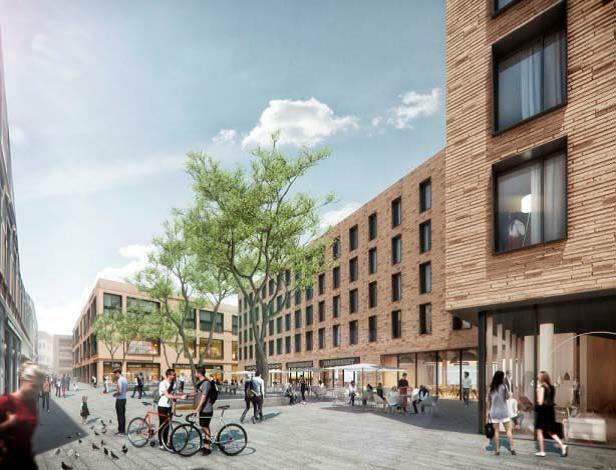 Under the motto „Urban Soul – Triad for Bonn“, “die developer” are banking on a lively mix of retail, office space, apartments, hotels and restaurants – typical for the city center. At the entrance to the city center, Bonn residents and visitors should once again receive a place with soul, a lively, urban space with a high quality of stay and be well received. At the same time, access to the underground station will be redesigned. The project includes three distinctive components: a Lifestyle House, which continues the prime retail pedestrian precinct to the station with a clearly structured flagship store concept. The building will be accessible from all sides and open to the urban space. The second building is a representative hotel. Between the hotel and the Lifestyle House, a new piazza will open, which, together with other catering establishments, will ensure the regeneration of the new area until the evening hours. The design is completed by the office building City Office along the Rabinstraße: a combination of office space in the head building, flexibly usable space on the ground floor and parking spaces as a „piggy back“ solution from the first floor up. 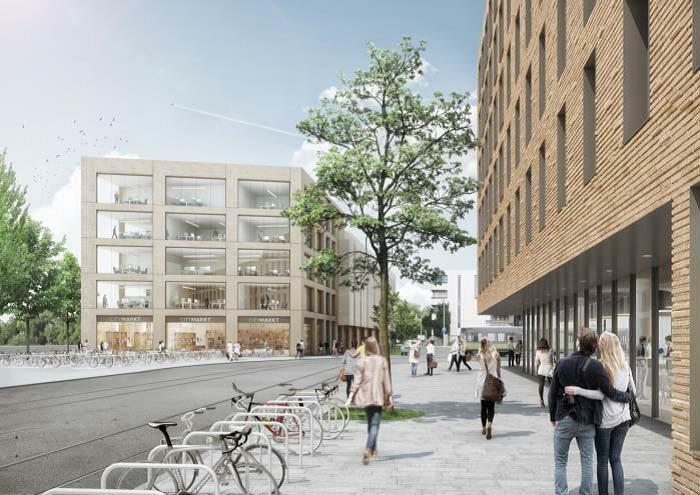 The “die developer Projektentwicklung GmbH”, which attracted international attention with projects such as the Kö-Bogen in Düsseldorf (MIPIM Award 2014 „Best Urban Regeneration Project“), offer the necessary know-how as well as a solid financing basis as an investor, builder and responsible project developer. As a regional developer, the focus is primarily in West Germany. The architecture firm Cross Architecture, formerly Benthem Crouwel from Amsterdam / Aachen, combines the unconventional and experimental approach of the Dutch architecture school with the technical precision and value of German building culture and has become involved with projects such as the Cultural Forum in Koblenz, the new central station in Rotterdam or the Anne Frank Museum in Amsterdam and made a name for itself.